There’s also a young brother who loves riding down the stairs on a tea-tray and teenage brothers who are so alike they even smell the same. There are brothers who grow up and disappear into a new life, living on vividly in the memories of those left behind. 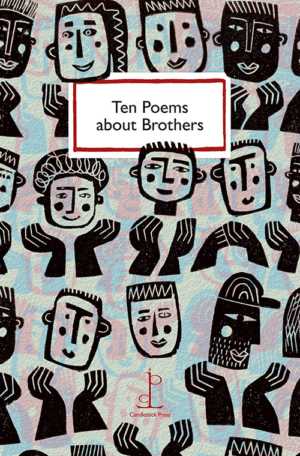 The relationship with a brother can be a complex one, and these poems explore those joys and challenges in fascinating ways. But most of all they reflect the abiding love we feel for a brother and show how this can enrich a life. Poems by Matthew Dickman, Jonathan Edwards, Lavina Greenlaw, Joanne Limburg, Hannah Lowe, Rebecca McClanahan, Rob Miles, Mary O’Donnell, Ben Scammell and Floyd Skloot. Cover illustration by Hilke MacIntyre. This insightful selection of ten funny, poignant and refreshingly honest poems deals with the reality of friendship in all its forms. Our latest title is something of a departure: all the poems have been chosen by pupils at Headington School and the selection includes contributions written by the students themselves and by their English teacher, Liz Soar. A sister often knows us better than anyone.